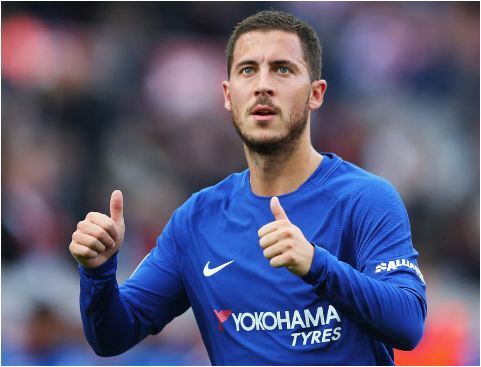 Former West Ham goalkeeper, Shaka Hislop, has said that Barcelona’s Lionel Messi, Juventus’s Cristiano Ronaldo, Real Madrid’s Gareth Bale and Paris Saints-Germain stars, Kylian Mbappe and Neymar are better than Chelsea forward, Eden Hazard. Hislop believes that the five players are better than the Belgium international, who scored a hat-trick in Chelsea’s 4-1 Premier League victory over Cardiff on Saturday at Stamford Bridge. “I understand where Sarri’s coming from and I understand why he’s saying that,” Hislop told ESPN. “It is his player after all and it was Cardiff after all. “Don’t get me wrong, he is one of the best players in European football. “There is a tier that Lionel Messi and Cristiano Ronaldo sit on. “And then just below them you’ve got Mbappe and Bale and Neymar. Hazard I think is just outside of that. “This is no disrespect to Eden Hazard, these are some of the best players the world has ever seen. “He’s just outside of that and certainly in English football, there are few players who can individually change a game, who can take a game by the scruff of the neck and the opposition have little that they can do about it, like Eden Hazard. “But like I say, there are those who are maybe just on a tier just above.